A day later, my friend Kent Reeves posted an article on my Facebook page entitled "Stop attacking pastoralists. We're part of natural resource management, too." Finally, I had an actual face-to-face conversation (imagine that!) with a fellow sheep rancher this week, during which we both lamented the lack of experienced shepherds in California (and, I suspect, elsewhere in the United States). Each of these encounters underscored a problem that has been tickling my subconscious mind for some time now: in our modern, technologically advanced society, very few people have a detailed grasp on what it means to be a shepherd - and even fewer have a true desire to learn (and master) the necessary skills. My own work this week offered yet another example of the realization I had several years ago that stockmanship - the work of caring for livestock - operates on its own clock (see my earlier Stockmanship Notes: Belief, Attitude and Punching a Clock). 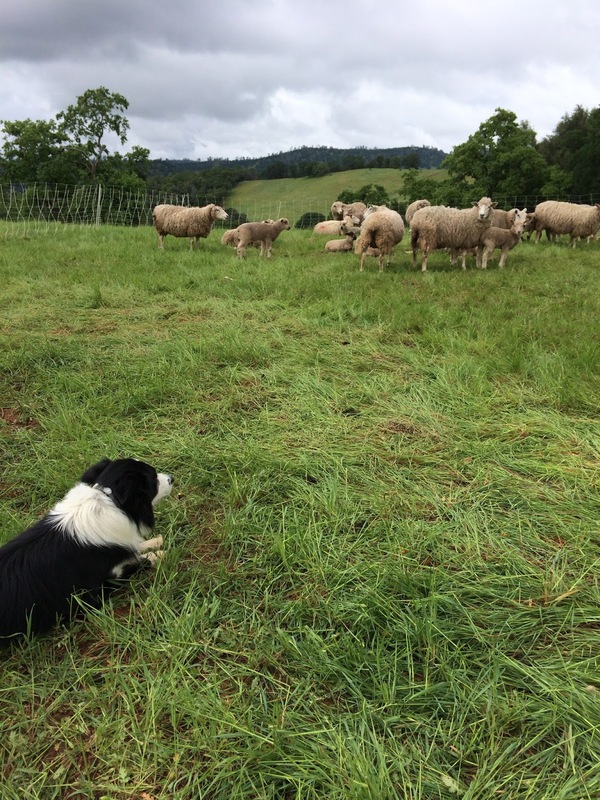 Now that our ewes have finished giving birth, my attention has turned to keeping lambs healthy, keeping the sheep on the proper side of the electric fences, and preparing for irrigation season. While moving the sheep over the weekend, I'd discovered a ewe lamb with a respiratory infection. I'd treated her with antibiotics, but I was still worried about her after hauling the sheep to a new property on Sunday. Monday morning, I spent an extra 10 minutes during my morning chores looking for her - not much time, I realize, but I would have taken an extra hour if necessary. While I had other things I needed to do on Monday morning, my priority was the health and well-being of our sheep. Similarly, I spent extra time on Thursday morning troubleshooting the electric fence. Overnight rain made the vegetation wet, which decreased the charge going through the fence. After walking the perimeter of our 3+ acre paddock several times, I was able to fix the problem. And I was a half hour late getting to my "real" job. Over the years that I've been learning to be a shepherd (yes, I'm still learning - I will be for life), the animals in my care have taught me many lessons. Thanks to vandals, I once had sheep out near the Southern Pacific tracks in Lincoln - at 6 a.m. on Easter Sunday. I have loaded ewes and weak lambs into the back of my truck at 11 p.m. in the wind and sleet because I was worried about whether the lambs would survive the storm. I have left a family barbecue to make sure sheep didn't get into the county road adjacent to our leased pasture. 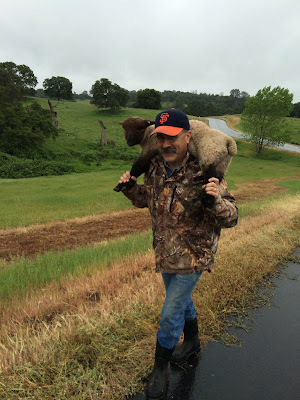 I've helped bed a group of goats down for the night on the wrong side of a rain-swollen creek that we couldn't cross. In the moment, each of these events was stressful; looking back, they helped teach me patience, attention to detail, and the importance of seeing a job through to completion. In the course of working with interns, students and employees, I've realized that some people have an aptitude for this kind of work, while others do not. I've had interns who treated our sheep like their own, and others who couldn't understand why I was upset when they forgot a critical detail like turning the electric fence back on. I've worked with colleagues and employees who taught me important lessons, and I've worked with others who quit because the work was "too hard." And I've found that students who ask questions tend to become better shepherds than students who try to tell me how much they already know. As the High Country News piece I referenced suggests, sheepherders (and cowboys) are integral to managing natural resources. Not only do our animals need us; the land needs us - the land needs people whose job it is to be on it and in it day after day. This is perhaps where the disconnect with our non-shepherding friends and neighbors is most pronounced. For most people, hiking through the foothills, or riding horseback through the mountains, is recreation. For sheepherders and cowboys, these activities are our vocation - a vocation we love, but work nonetheless. I think our ability to listen to the land, and to manage our natural resources, is enhanced by the day-in, day-out work that pastoralists - stockmen and stockwomen - perform in caring for grazing livestock. The land - our environment - needs people whose job it is to pay attention. In other countries, folks have realized that these skills may not get passed from one generation to the next. In France, there are formal shepherding schools where young people (mostly) learn the skills necessary to caring for grazing sheep. A wonderful book, The Art and Science of Shepherding, describes these schools, as well as the extensive knowledge of French shepherds. There is talk of establishing such a school in this country, as my friend Cole Bush describes in a recent article in The Stockman Grassfarmer. For the last 4 or 5 years, we've offered a series of "Shepherding Skills" workshops designed to give new and aspiring shepherds hands-on learning opportunities. Collectively, I think we must do more of this - our skills and knowledge must be passed on to a new generation of stock-people. 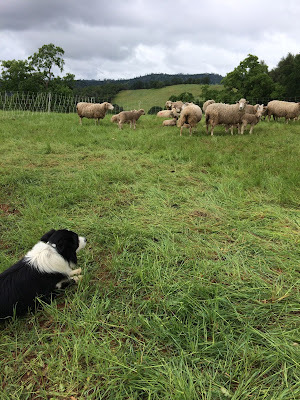 Reading my own writing - and listening to my own conversations with other sheep and cattle producers, I fear that I may become the "grumpy old sheepherder" I used to ridicule. I fear, at times, that I'm becoming the old guy who complains about the lack of a work ethic in the generations that follow my own. I hope that I'll keep learning from others - and I hope that I'll find new ways to pass my own knowledge to others. And mostly I hope that the wisdom of stock-people receives the appreciation that it is due.